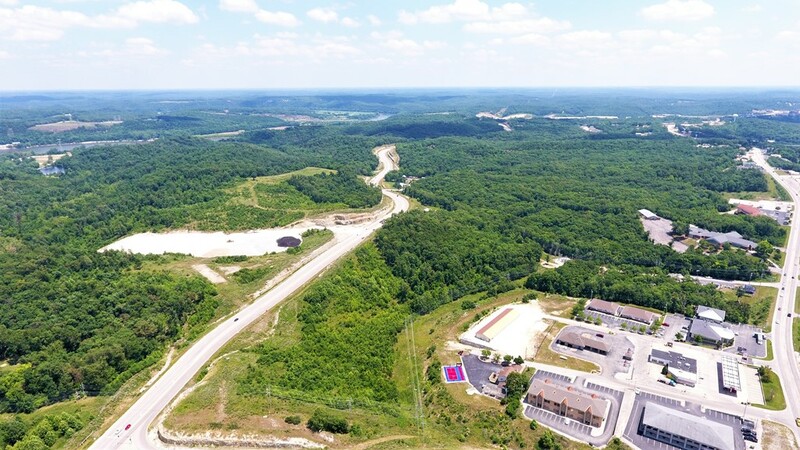 500 acres m/l of prime commercial, retail, and multifamily development land ideally located on the new two-mile corridor known as Route 242 connecting Hwy 54 to Horseshoe Bend Pkwy and the community toll bridge. 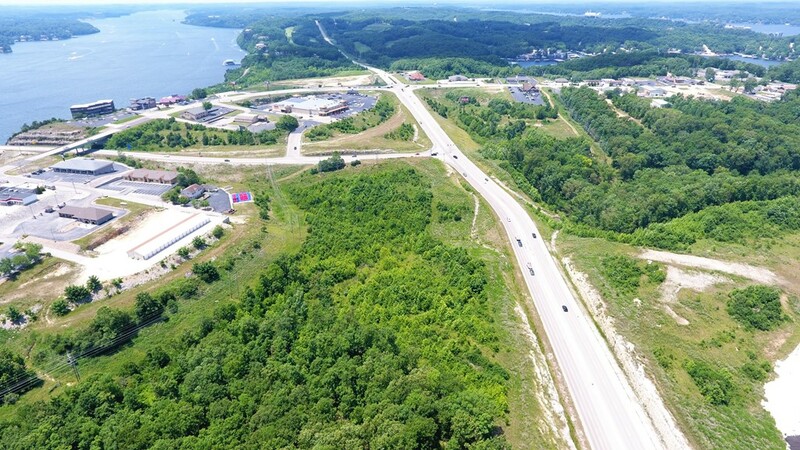 Unparalleled opportunity and exposure on Route 242, the new “gateway” to the lake which is surrounded with signalized intersections. 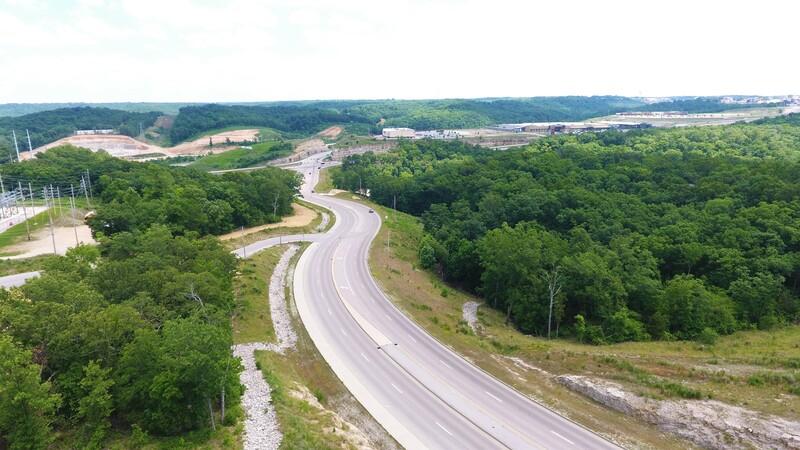 Incentives available due to property being located in Transportation Development District and Tax Increment Financing District. 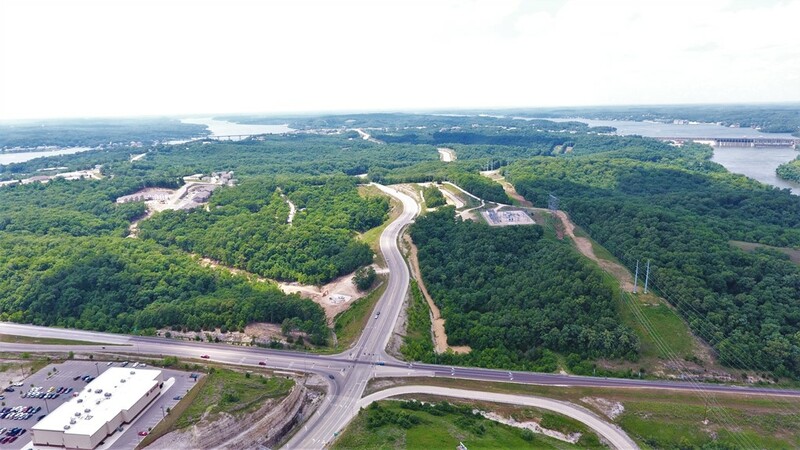 South - Prewitt’s Point includes Hy-Vee grocery store, Target, Outback Steakhouse, Chili’s, Steak & Shake, and other local eateries. West - Woods Supermarket anchors a retail center with hair salon, restaurants, and shops. 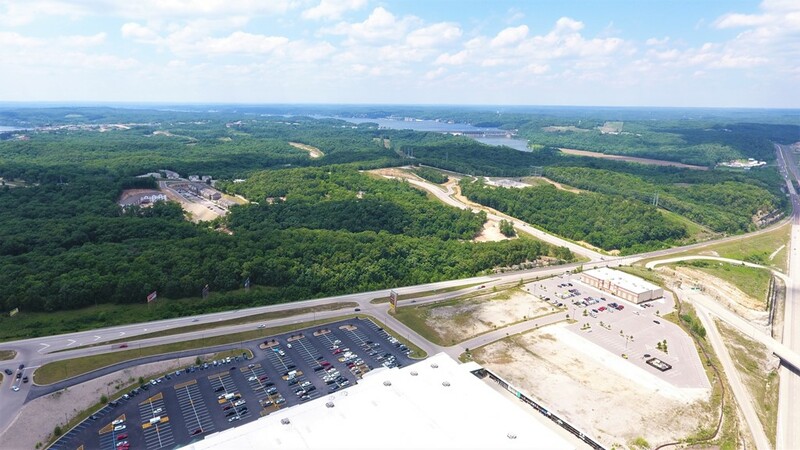 Area banks, health clinics, pharmacy, elementary school, and local shops can be found 1/4 mile from corridor. 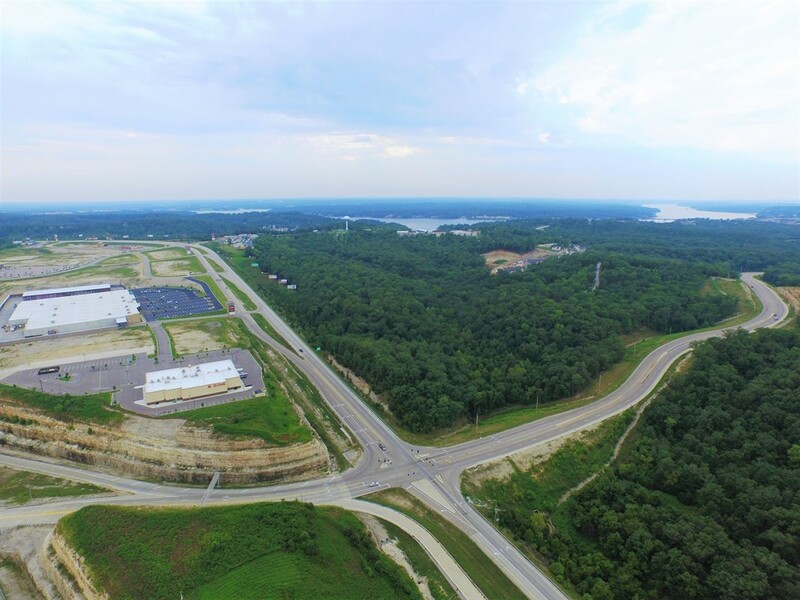 East - the new Eagle’s Landing retail center includes Menard’s, Kohl’s, CVS Pharmacy, Buffalo Wild Wings and a movie theater. 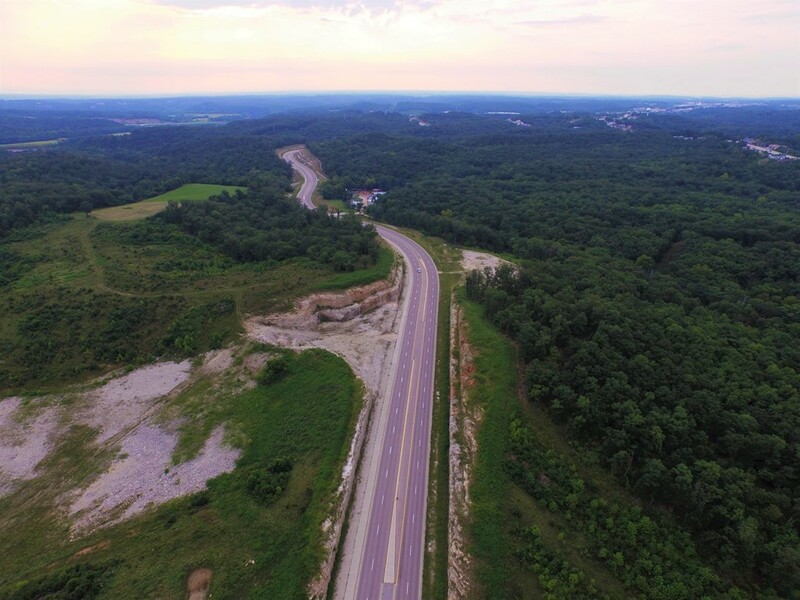 The new Hwy 242 had a projected average daily traffic count of 14,500 per day upon the completion date. Construction of the new Hwy 242 includes approximately 22 direct access points, a raised center median, curbs and gutter for drainage and an eight foot pedestrian walking path on the north side of the corridor. 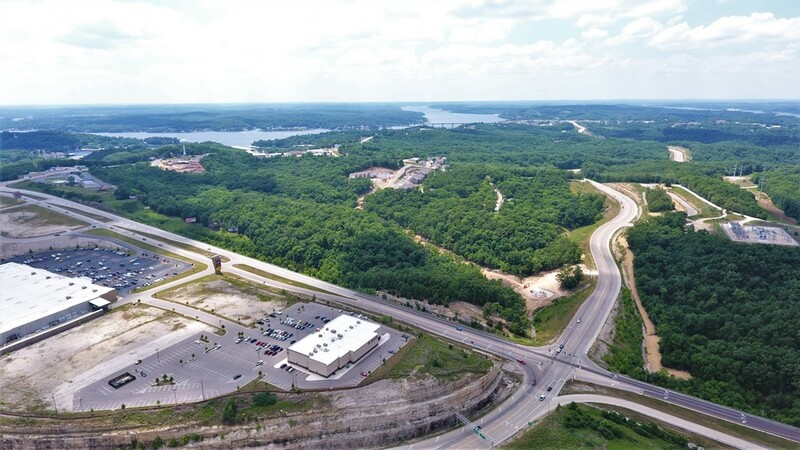 Lake of the Ozarks is one of the world’s largest man-made lakes that allows for private lake front ownership and development. 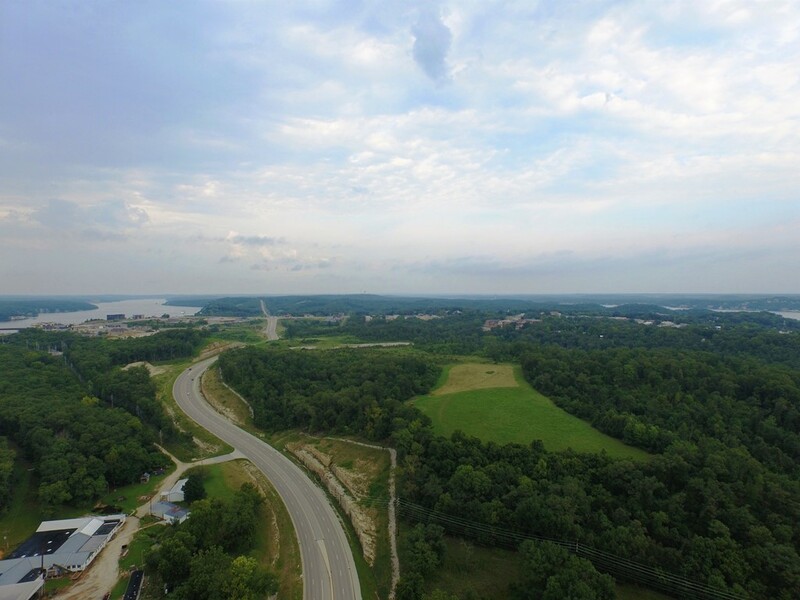 There are over 70,000 existing homes along the lake, many of which are vacation homes. 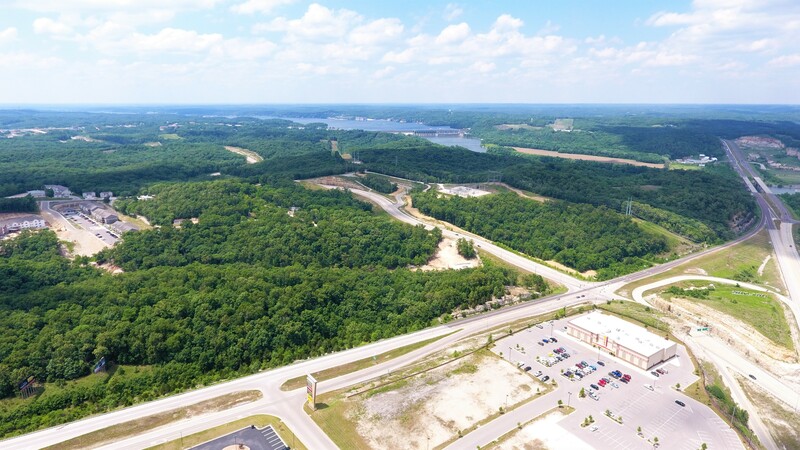 Spectacular scenery characteristics of the Ozarks and nearly 1,150 miles of area shoreline has helped to transform the lake into a major resort area. 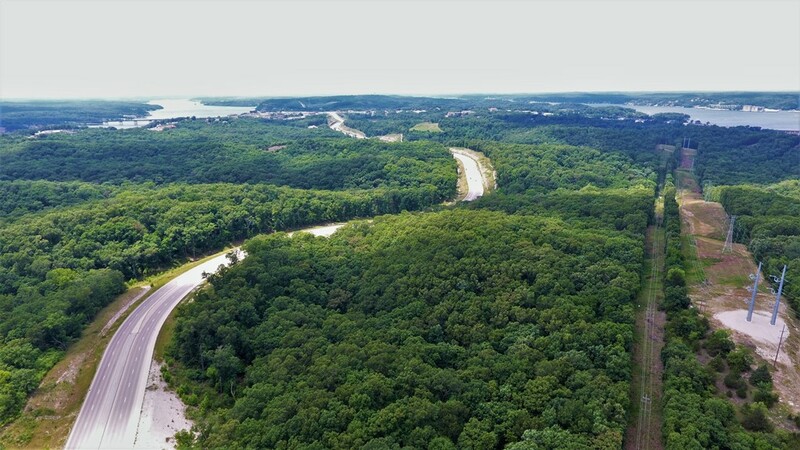 Lake of the Ozarks is an easy three hour drive from either Kansas City or St. Louis. 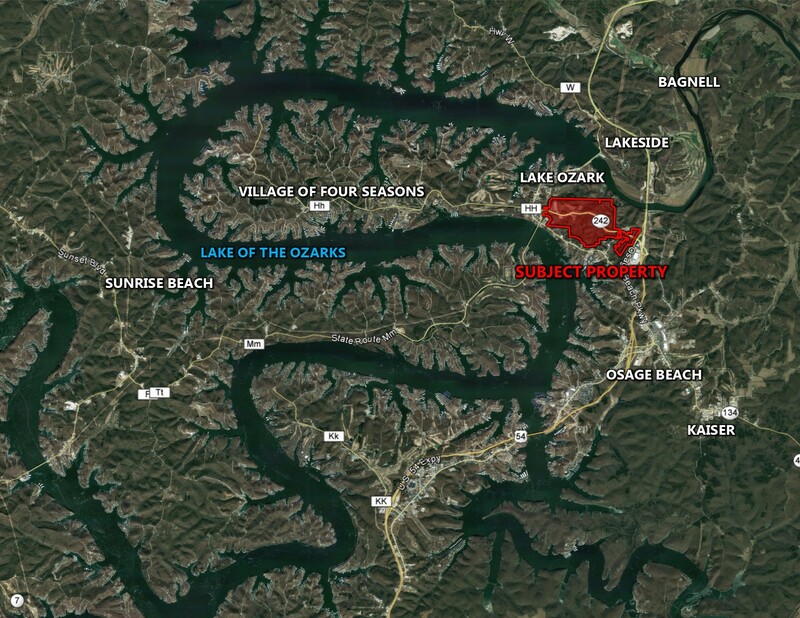 More than 3 million people visit Lake of the Ozarks annually. 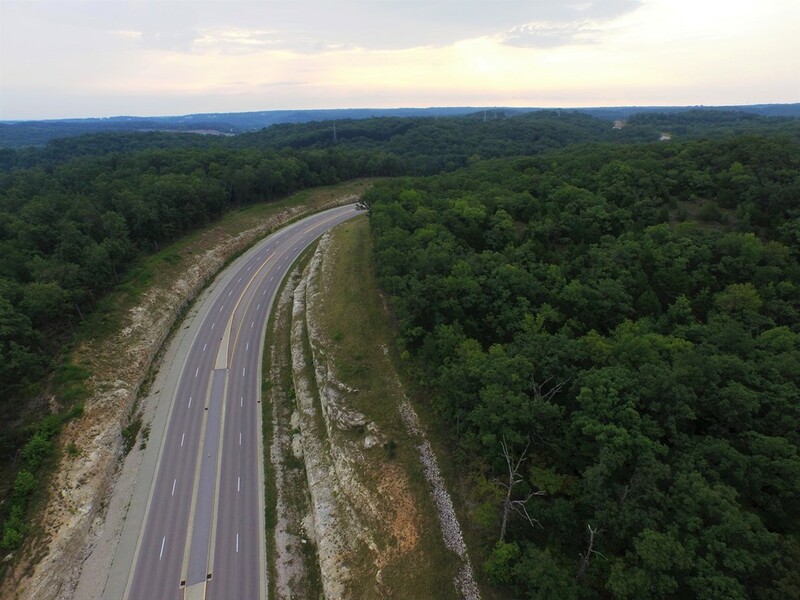 500 acres m/l located in Sections 29, 30, 31 and 32 of Township 40 North, Range 15 West of the 5th PM in Miller County, Missouri. Exact legal description to be taken from abstract. This brief legal description should not be used on legal documents. 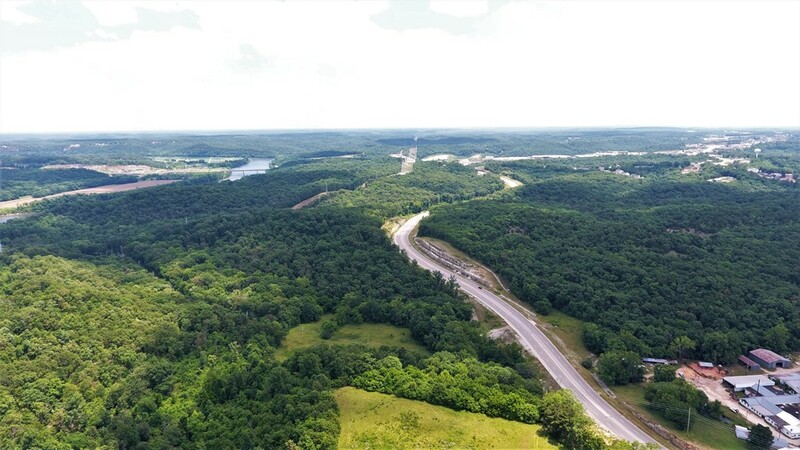 Directions: Property is centrally located west of Hwy 54 accessible from the Horseshoe Bend/Community Toll Bridge interchange on Hwy 242. 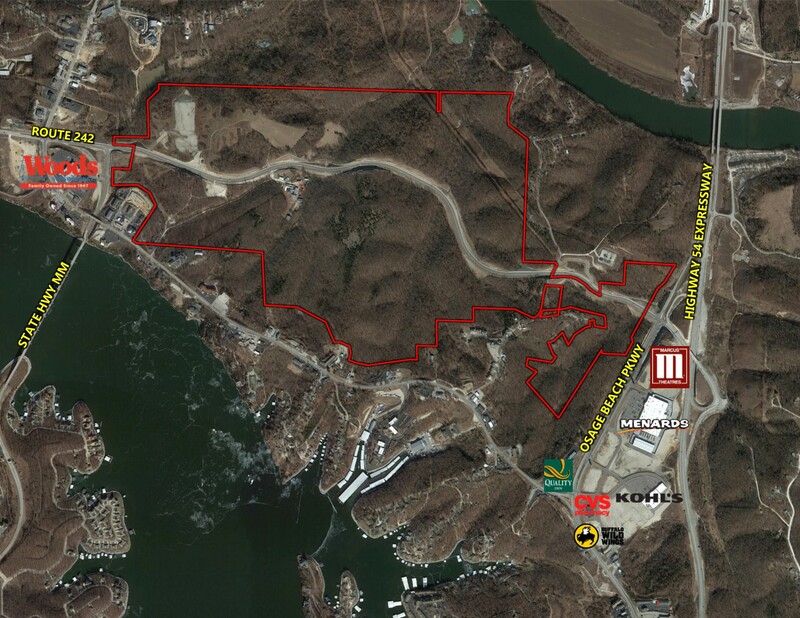 Property can also be accessed via the Osage Beach Pkwy exit off Hwy 54 Expressway. Price is a function of future land use, available infrastructure, and reimbursable costs from the TIF. 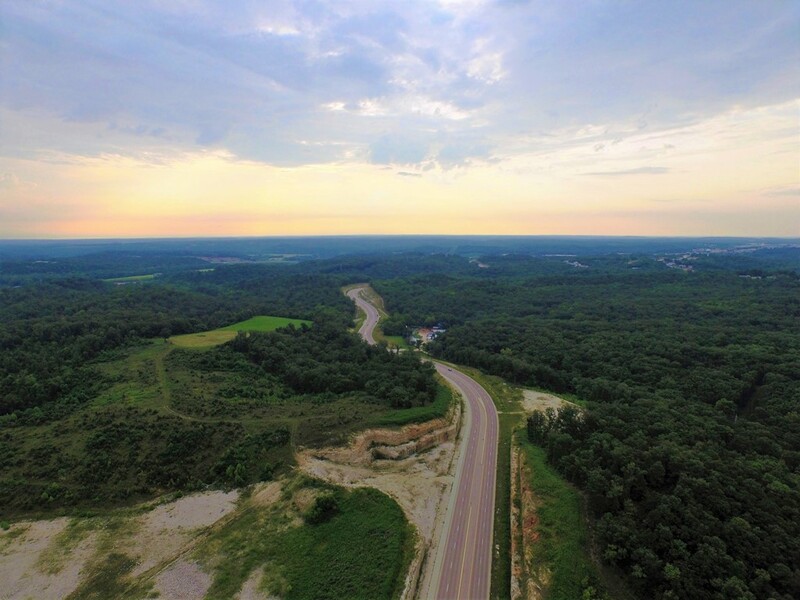 Therefore, the price of each portion of land in the Interior District is negotiable based on the end user’s specific needs and the manner in which a deal gets structured. 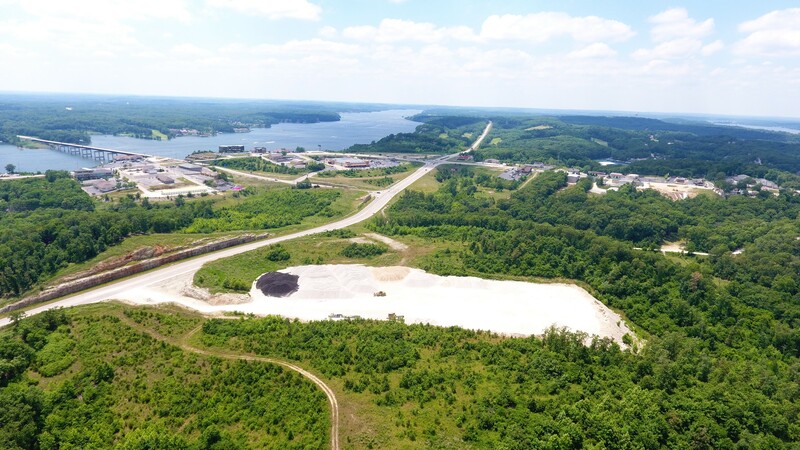 Costs incurred for the following development expenses may be reimbursable: land acquisition, grading, public improvements, relocation costs, planning and financing costs, legal, engineering and design fees.